Mentally ill? For most of recorded history the treatment was barbaric. Labeled as witches, we were burned at the stake or weighted down and thrown into icy water. If we floated we were “guilty.” Fished out and sent to said burning stake. Sink to the bottom? Well then we were “innocent”… and dead. England saw fit to open the first asylum. Named it “St. Mary’s of Bethlehem.” The locals called it “Old Bedlam.” Bedlam found its way into the dictionary. I question being associated with its definition. Seems there was no need to pay the caretakers. To earn their way, Old Bedlam was opened to the public on the weekends. The well-dressed, well-heeled men and women lined up and paid handsomely to see the mad men and mad women put on a show. Broadway this was not. Chained to their beds, in various states of undress, our predecessors acted out. I am guessing like anyone who had been chained up, beaten and nearly starved all week would… crazed and frenzied. The critics loved it. Each week the lines grew and the money poured in. Apparently it was quite the show. An old word underwent a semantic shift. Idiot. That’s right, we were now idiots. Another update to the dictionary. Fast forward. Past years of straight jackets, bloodletting, lobotomies and electroshock. Here we are. Aspiring TV producers film us at are worst. Family members and other “loved ones” dish… and the dishes are dirty. The more sensational the story? With any luck we’ll be paraded out before a live studio audience. Well-dressed, well-heeled men and women line up to gawk at our darkest moments. The wardrobe staff doesn’t send us on stage in a state of undress. But make no mistake, we are stripped bare for all to see. Instead of admission fees, the advertisers pick up the tab. Our caretakers, in the form of a host and the staff, earn their keep. The crazier and more frenzied the act, the more love from critics. Great reviews spawn great ratings. The higher the ratings? 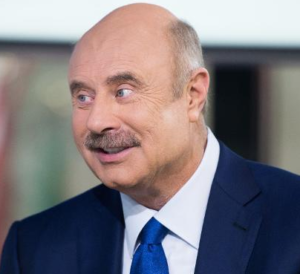 Well let’s just say Dr. Phil lives a stone’s throw from Tom Cruise and the like. A labor of love this is not. After all, we are always offered treatment right before the credits roll. About that. Doctors, psychiatrists and psychologists get in a plug for their facility… a plug viewed by millions. In return they save one bed for us while renting the rest out at top dollar. A fair trade for being put on display? I’ve always placed a higher price tag on my dignity. Hence the master’s degree at 54, the PhD at 57. Walking away from a lucrative career. No retirement planned. I’ve seen how the world treats us. I know involuntary psych holds and jail cells. I’ve had my dirty laundry aired on the front page of the local rag. I know stigma and scorn. I may be no Dr. Phil. But no one coming to me for help will be labeled an idiot. Like this blog? A follow and a share would be appreciated. Love this! So very true. Glad you’re writing again. You have a lot that needs to be said.